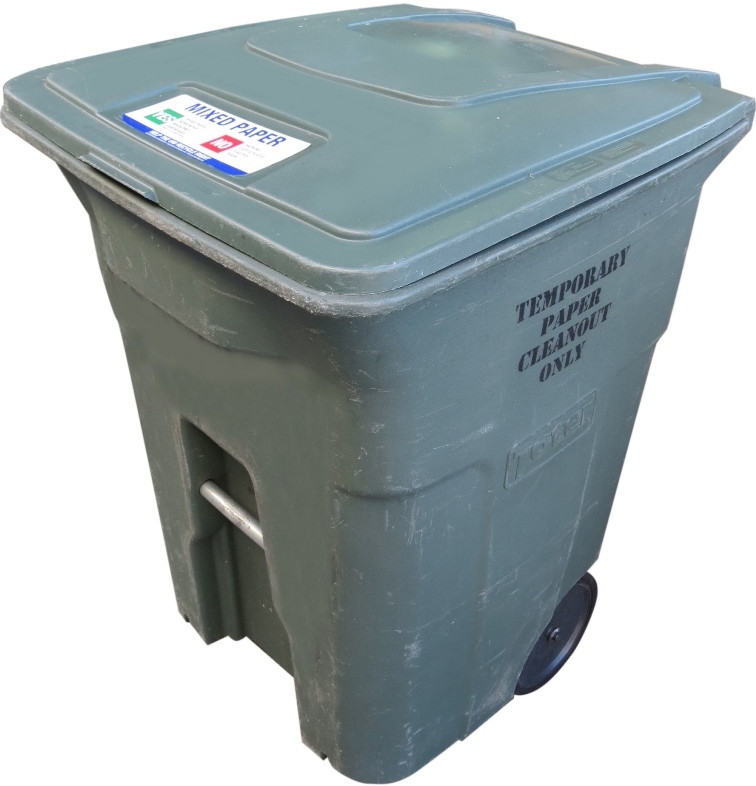 UW Recycling provides temporary mixed paper toters for performing large paper cleanouts. Mixed paper toters that do not have “Reserved” painted on them are your building’s permanent containers. Do not use your permanent containers for a cleanout. Capacity: each toter holds approximately 10-12 banker boxes worth of material. Reservation period: the reservation is for one week and may be extended on a case-by-case basis. Discard only acceptable paper recycling in the toters. Keep the toters in the cleanout area, rather than moving them around the building. To ensure our crew has access, place toters outside of the room the day before the scheduled pickup date. Toters can generally be delivered within five days of being requested or on a preferred date.